…out in the midday sun yesterday. 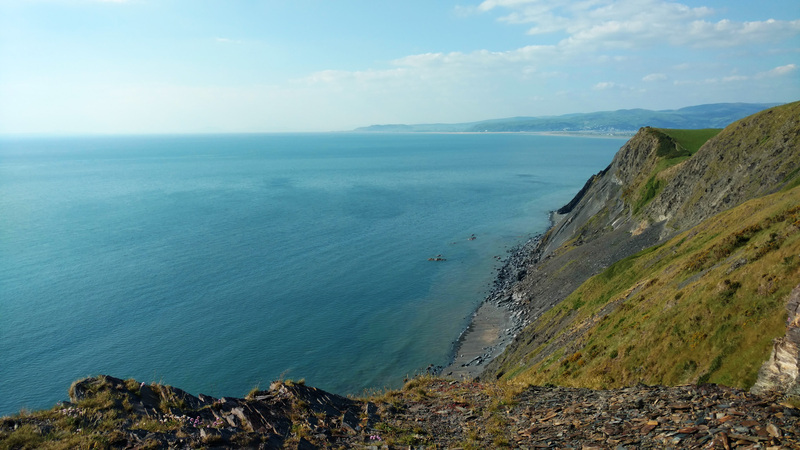 The walk from Aberystwyth to Borth, visually stunning, physically exhilarating and nature-watchingly spectacular. A pair of swirling choughs just north of Clarach and a Great Grey Shrike high above Sarn Gynfelin. The day capped with a Dolphin lazily swimming 10 yards off shore to ale-supping delight from the deck of the Victoria Inn.